In 2015, the Centers for Disease Control and Prevention estimated that the country accumulated $3.2 trillion in health expenditures, more than 10 percent of which were for prescriptions. Within Medicare, the percentage is usually higher: According to Medpac, retail spending on drugs accounted for 13 percent of all Medicare spend in 2013, rising from $82 billion in 2007 to $112 billion that year. By 2020, it could reach 16 percent. Drug prices also outpace general inflation. Between 2015 and 2016, pharmaceutical prices climbed 9.8 percent, while food and alcohol increased only 2.8 percent and clothing 5.7 percent. The causes of high drug prices are complex, spanning patent law, third-party administration of pharmacies and lack of Medicare negotiation. Another key cost driver can be found in the relationship between price and value. For example, one treatment for Hepatitis C can run $1,000 per pill, despite controversy about its advantages over cheaper alternatives as well as its safety for patients coinfected with Hepatitis B.
Value-based pricing (VBP) of drugs is a proposed solution to these current challenges in drug affordability. An alternative to current payment models like fee for service (FFS), VBP is designed to improve accountability for treatments and align patient/plan payments accordingly. The main question for VBP is how do we precisely define and measure “value”? A basic definition might include a medication’s usefulness in resolving and/or controlling the conditions for which it is indicated. However, measurement of these results can be challenging. Different data sources can yield disparate results for the same treatment. Consider that drug trial participants are often healthier and younger than real-world patients, and as such the two populations might respond differently. Drug list prices are publicly available, but they are often much higher than what any insurer will ever actually pay. Information on the latter may be more useful for benchmarking purposes. Generics cost less than original brands. The entry of less expensive medications could dramatically improve a substance’s cost-effectiveness, even if its efficacy stays the same, muddling any attempt at VBP study. As we can see, assessing value is not always straightforward. Indeed, two separate value models for the asthma medication Omalizumab yielded conflicting results about the drug’s cost/benefit tradeoffs. What steps can be taken to produce clearer answers about drug value for VBP? A viable model would evaluate drugs that have measurable outcomes (i.e., their use can be clearly tied to changes in indicated condition) and no generic alternatives (so that results reflect, as much as possible, efficacy instead of economy). Other ideal conditions for modeled VBP assessment include a competitive market with branded alternatives, a high potential sales volume and questions or concerns over efficacy that VBP could possibly resolve. Can value-based drug pricing help reduce healthcare system costs? Harvard Pilgrim and Amgen entered one such agreement for Repatha, a drug for treating cholesterol, under which the latter agreed to provide rebates to the former if the medication did not meet predefined performance thresholds. For reference, Repatha costs more than $14,000 per year. Cigna and Merck have also set up similar frameworks for the diabetes drugs Januvia and Janumet. A May 2017 survey of health plans by Avalere found that 30 percent of them had one or more such contracts in the works. Going forward, treatments for diabetes, high cholesterol and cancer, which should yield measurable results, are seen as prime candidates for these sorts of agreements. 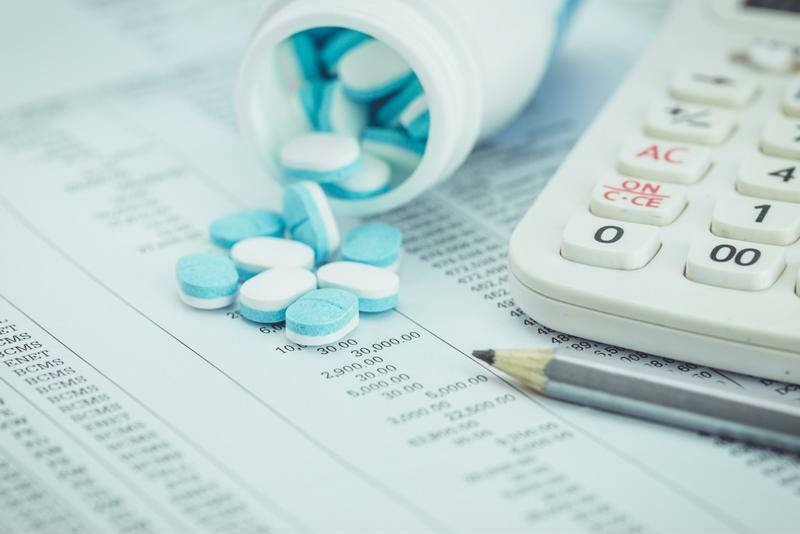 Value-based contracts could become widely adopted as part of a larger move to value-based reimbursement, the alternative to FFS that KPMG estimated was in use in half of U.S. health systems as of early 2017.
on drugs by billions each year. But a balance can likely be struck by payers and manufacturers as they forge partnerships to address VBP. To that end, pharmacy benefit management (PBM) and drug utilization reviews (DUR) could be valuable tools for establishing VBP, as they aim to assess the value, necessity and appropriateness of prescription treatments. Healthcare organizations like Advanced Medical Reviews (AMR), an independent review organization, are one avenue for providing Group Health plans with a team of qualified specialists and physicians to examine the value of its non-formulary drugs. Whether through a PBM or DUR, these processes commonly involve a committee of physicians, nurse practitioners and pharmacists that review patient prescription data to make informed decisions accounting for issues such as interaction of multiple medications, over-prescription and appropriate opiate use. All of these considerations figure into AMR’s reviews and how healthcare, as an industry, addresses the price of drugs. Concrete processes, such as PBM or DURs, ultimately support VBP and they support ensuring patients receive appropriate and quality healthcare. As the cost of healthcare is addressed from multiple angles- healthcare reform, prescription drug cost and the adoption of new technology- tying cost to the treatment’s value to the patient will be an increasing part of every solution. How value is assessed and costs are determined may continue to be the challenging part of this new approach, but there is hope that continued collaboration between payers and providers will expand access to affordable and quality health care.